Home › Reviews › Does ShoeMoney (Blog Ninja) Work? Does ShoeMoney (Blog Ninja) Work? Does ShoeMoney Work? Is ShoeMoney a Scam? These are some of the questions I plan on answering and others by diving into ShoeMoney system to earn money. Since they recently change their name I did a new review here, Is Blog Ninja A Scam? We first are going to be looking at the owner of the company, Jeremy Schoemaker (the look-a-like to Professor Xavier from X-Men), then proceed to his company in question. The reason for this is because it might add some weight of credibility to his company, or not. The guy does seem to have some super powers in generating income. Jeremy is a self-made man, that first started off with created his blogging site ShoeMoney.com and also created a successful ringtone generator for mobile phones, called Next Pimp. 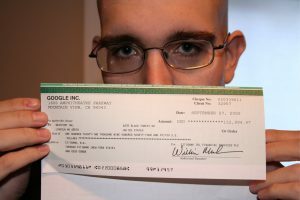 Became famous for posting a picture of his check for over $100,000.00 from Google Adsense. Truly amazing! 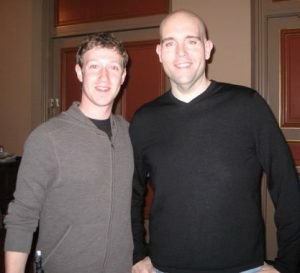 Jeremy also has over 30,000 daily readers on his blog site, that teaches affiliate marketing, ShoeMoney.com. That’s a really good base for a blog. Me jealous! Also, he is quite a prolific conference speaker, and many people want to pick this guy’s brain. On to program the…ShoeMoney Media Group, confusingly we’ll call ShoeMoney for short from now on, in this review. ShoeMoney is basically a program to teach people how to make money online. He teaches Internet marketing courses through a sizeable compiled string of videos. The program is not free, and you must be a subscriber to the Shoemoney system. Where Jeremy throws everything on its head, is his claim, that he will pay users money, to complete tasks that teach you how to earn money online. Huh, interesting marketing concept. But is it all that simple? The first lesson in this dojo is to watch a short video, then share one of his links on Facebook, and he pays you $1.00 via Paypal. So insert the carrot in front of the mule scenario, it’s a reward-based system to keep you motivated and progressing and learning thru the martial arts belt system. Belt system you say?, yeah belt system I say. 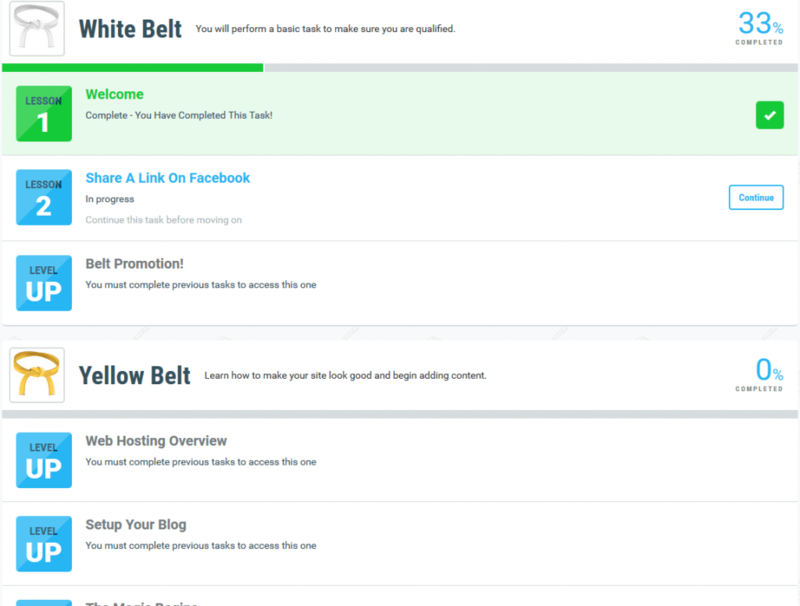 If you are not familiar with the martial arts belt system, it’s composed of different colored belts for varying levels of skills, with white as the novice and black as the expert and the various colors in between. They have a total of nine belts to attain. Then after that, they have Ninja levels. Okaaaayyyyy sounds funny, doesn’t it? It’s obvious he gets a percentage of money through the next step in his system of you setting up a website and hosting. This is how he pays you because you are paying him, eventually if you keep using his services past the first lesson. Because that’s the second lesson setting up website and hosting. Examples of lessons taught at ShoeMoney. Social Media – Using and setting up accounts at the major social media sites. Paid to learn. Kind of. The use of video presentations as the teaching medium. I really find to get a general scope of information through video is easily assimilated into my information shielding gray matter. Incorporates podcasting which is a great vehicle for learning when a computer isn’t around and is a really popular media medium. Beginner orientated, a slow, steady system to carefully not overwhelm the inexperienced. Jeremy Schoemaker – He is a proven real earner and expert and it’s great to have someone of that prestigious teaching you. A real asset. Generally a good progressive learning system. Uses WordPress themes. I’m a big believer in WordPress. Recently changed his policy on having to go through him and his hosting company (Bluehost) for a website. If you already have one, you’re good to go, as before the recent change you had to go through Jeremy and Bluehost to continue using his training platform. I think he realized that people were turned off having to get another hosting service when they already had one. Then they would quit at white belt. Too many people were getting their $1.00 and leaving. Kudos to him for realizing this and changing. If you have subscribed to the ShoeMoney and then quit, and then come back at a later date, don’t expect to return where you had left off. You must start all over from the beginning again. Not cool bro, not cool. If you’re an intermediate or advanced user, it might not teach you anything new. Video quality is somewhat lacking. Can’t skip videos, if knowledge is already known. Which makes it slow with respect to users ability. Drawn out, maybe to keep you subscribed. But is catered to the beginner and that’s good for a newbie. Just as always, to earn real money it takes time unless you’re a drug dealer. No overnight sensations here, but it adds to the credibility also. Some various much-needed lessons are skipped or not addressed: Picking a niche, how to write effectively, proper picture placement and such. Leaving newbies in the dirt, face down. No online community, to share, to help, to draw from (inspiration), teach, bounce ideas, support, etc. Support? We don’t have any stinking support? It’s not good, only one box to submit to with no chat. Lots of complaints of problems getting help. They do have an FAQ page. Vague instructions. Yellow Belt Lesson 2 for example. Jeremy tells you to download this file, bnshoeverify.html, then re-upload the same file on your website. Not at all telling you where to put this file and tells you to call your hosting company to find out where to put it. Wow, really…thanks for nothing. You’re supposedly an internet guru, and you’re not going to give me the location to put this HTML file because I don’t want to use your hosting company. If this is the sort of training provided, expect a lot of headaches. BTW if you’re using a WordPress site just upload the file through your Media tab at the left in WordPress and click the bnshoeverify.html file once it is finished uploading, then copy the URL and paste at ShoeMoney in the space provided. Don’t worry Jeremy; I got it. This system at its core is designed in my opinion to really for the internet marketing greenhorns. With some pertinent information for advanced and intermediate users. ShoeMoney system is designed for people looking to generate income from working at home. I fall into this category myself. I love working by myself and from the comfort of my own home with no boss. It’s so appealing to me; I made steps to accomplish this goal. Also, Entrepreneurs looking to start their own successful online business. Or even if you currently own a business and desire guidance or teaching in the world of Internet marketing. At ShoeMoney, the heart of the training is mostly done with videos. Some done by Jeremy, some done by other people. There is also 62 free podcast he has done, and they are free to listen to without joining. 60-day money back Guarantee. Cancel anytime for any reason up to the 60-day mark and receive your full money back. They have a help and FAQ page. After some research online, I found lots of complaints, and there support is horrible. I’ve never had an issue though. *Update 7/8/2016 got an email from ShoeMoney or should I say Blog Ninja that if I need any help, I can call support specialist. It’s the persons apparently personal phone. You pay nothing but the cost of website and hosting. They pay you, this help to keep you progressing and to motivate you. 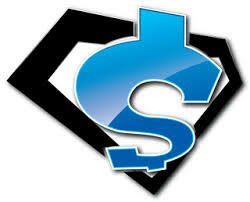 ShoeMoney is a great place to join if you want to start learning to make money online. With a good step-by-step process, that, for the most part, is pretty comprehensive. ShoeMoney is completely trustworthy and legit. If there were a way for advanced or intermediate users to advance through knowledge already attained, it would be very appealing for seasoned veterans in the world of Internet marketing. I know there is content a seasoned veteran would want to know. It’s great to get lessons designed by Jeremy, a true online pioneer money maker. He has valuable information, and you can’t really go wrong with his system. That being said…It is not my highest ranked way to earn money online. Well, what is my highest ranked method? That would be my number #1 Recommended program to making money online my Wealthy Affiliate Review. Full detailed instructions provided, unlike what you’ll find at ShoeMoney, either through video or text. No passing the buck to the next guy. This is just more comprehensive in scope, and more features. The biggest difference is the content and community, with ShoeMoney you have no community. Believe me when I tell you a community is one of the most important aspects of thriving at making money online. They support you, help you, inspire you, lead by example and so much more. Does ShoeMoney work? You would do well joining ShoeMoney, with effort and a little luck, succeed.